Decibullz Percussive Filters are the last stop for protecting those ears from the peak sound pressure, without having to carry the large, clunky over-ear muffs. 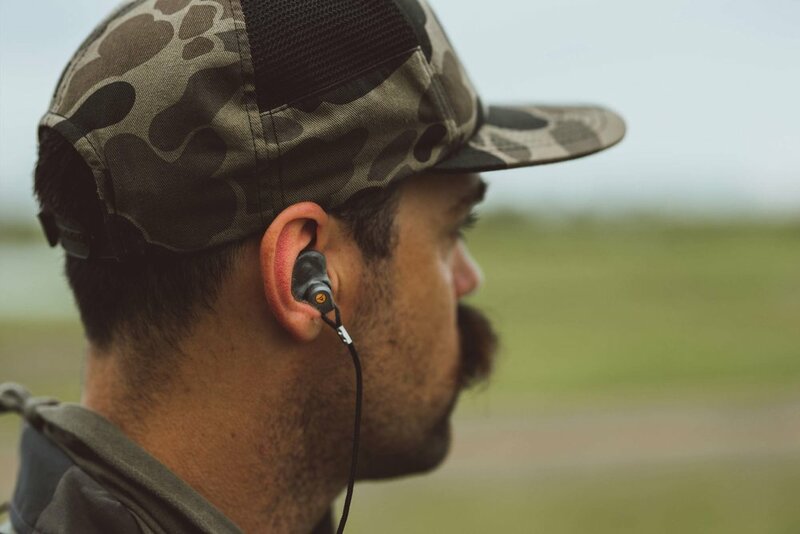 The technology allows for maximum ear protection with a Noise Reduction Rating at NRR 31. These pieces can be heated and custom-molded to fit any ear perfectly. Oh, and unlike electronic hearing protection, they never need batteries.